The final season of Game of Thrones is almost here, and we couldn't be more excited! Finally, we will find out who (or what?!) 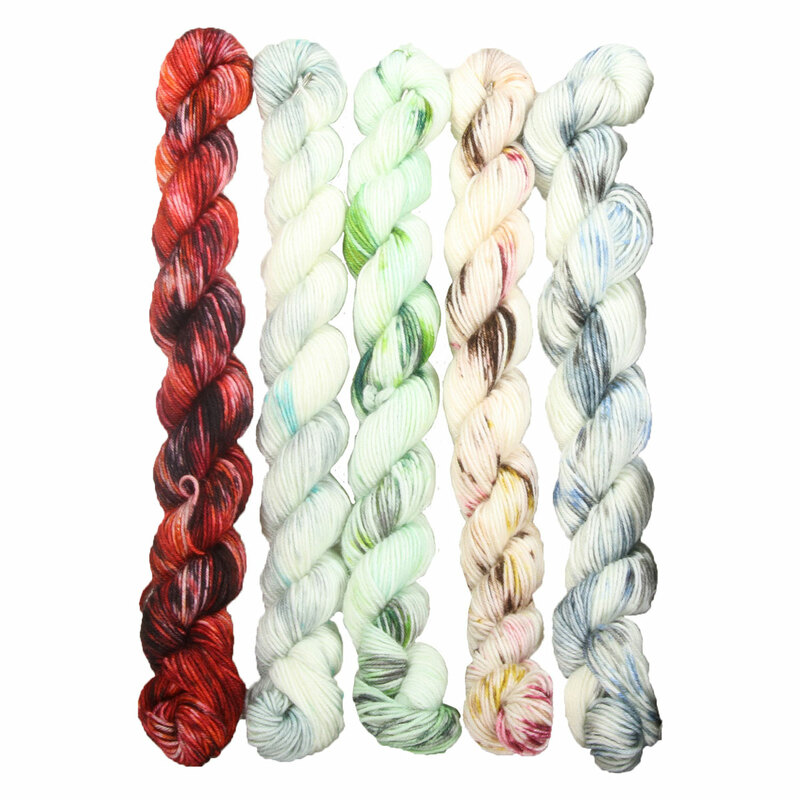 will claim the Iron Throne, and in honor of what will surely be an epic final battle, we have decided to revive the past Lorna's Laces Limited Edition colors! And, of course, Rachel Roden of Unraveled Designs is back to do a final Mystery Knit-Along inspired by the show and all the beloved/reviled characters we have come to love/hate! While the characters on show might be a little polarizing, the gorgeous Lorna's Laces colors certainly are not! This time they have created a splattershot version of each of the five previous colors, which are perfectly packaged into a String Quintet. 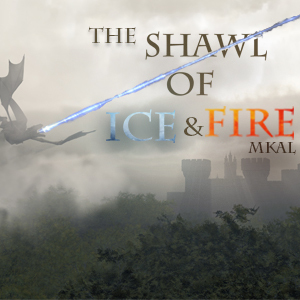 Beginning with the icy shades of Beyond the Wall, followed by the muted blues of Winter is Coming, and then the crisp greens of Queen of Thorns, the string quintet then transitions to the vibrant reds and oranges of Fire and Blood and finishes with the deeper reds of Casterly Rock. Since each one happens to represent one of the main contenders for the throne (ok, not Queen of Thorns, but we figured 4 out of 5 isn't bad!) it really is the perfect way to commemorate this final season! 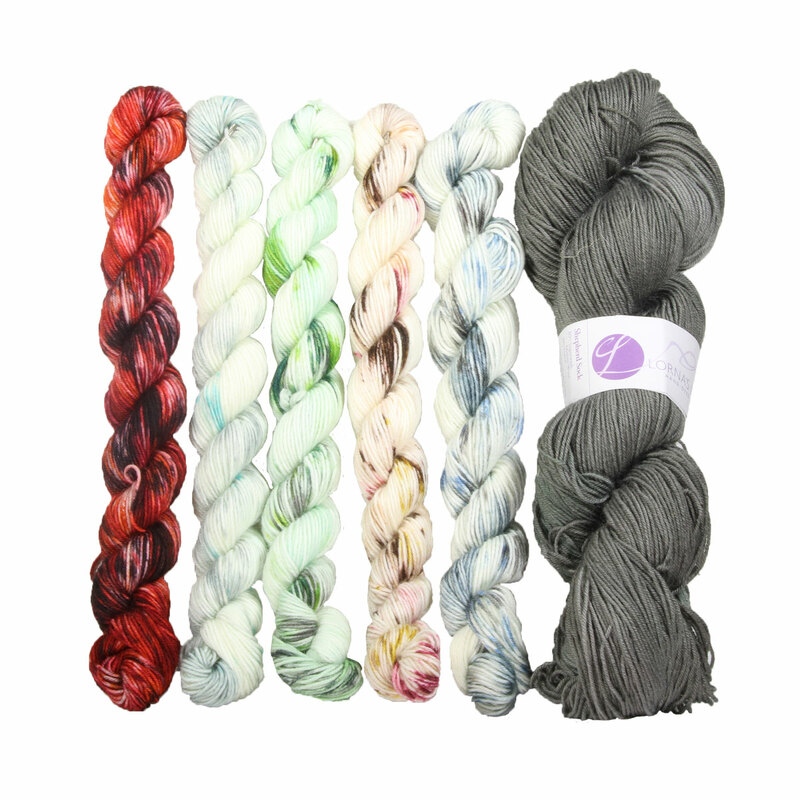 Each kit includes: (1) String Quintet - Fire and Ice, (1) Shepherd Sock - Pewter, and a Ravelry download code for the pattern. Jimmy Beans Wool Modicum Mitts Mason Jar Sampler Kits and Jimmy Beans Wool Urban Reflection Wrap Bouquet - Crochet Kits are both similar kits: intermediate difficulty and kits.